Last December it was reported Masonville Place in London, Ontario, would be getting an Apple Store. In March, the store’s existence was confirmed via job postings on Apple’s own website, and by this time the store front of the rumoured location was already covered in Apple’s classic pre-construction black paint. 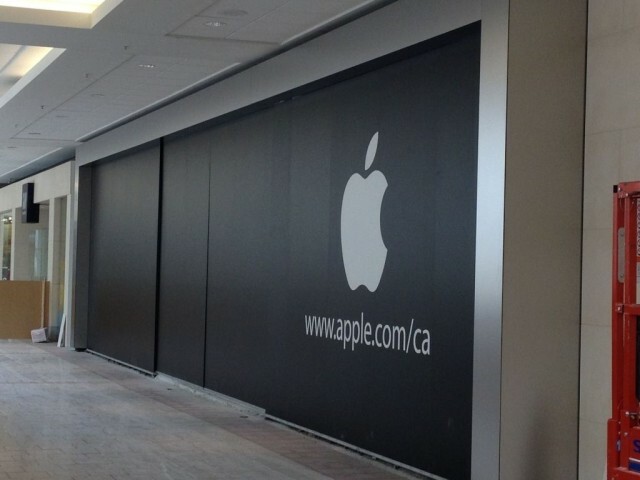 As for other east coast openings, Atlantic Canada is set to have their own Apple Store opening soon in Halifax. Update 1: Picture above originally taken by @MattzMacBook.